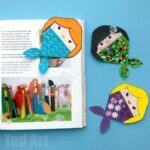 The corner bookmark obsession continues (well, I did **say** that there are WEEKLY bookmark how tos over on YouTube.. this is thanks to my lovely YouTube viewers who ask for a regular bookmark design!). 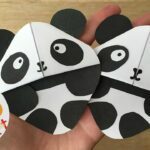 I hope we haven’t bored you to death with our bookmark ideas yet, but bookmarks are so quick and easy to make… and as the majority of our bookmarks are made from paper, they are inexpensive and hopefully “accessible” to all. 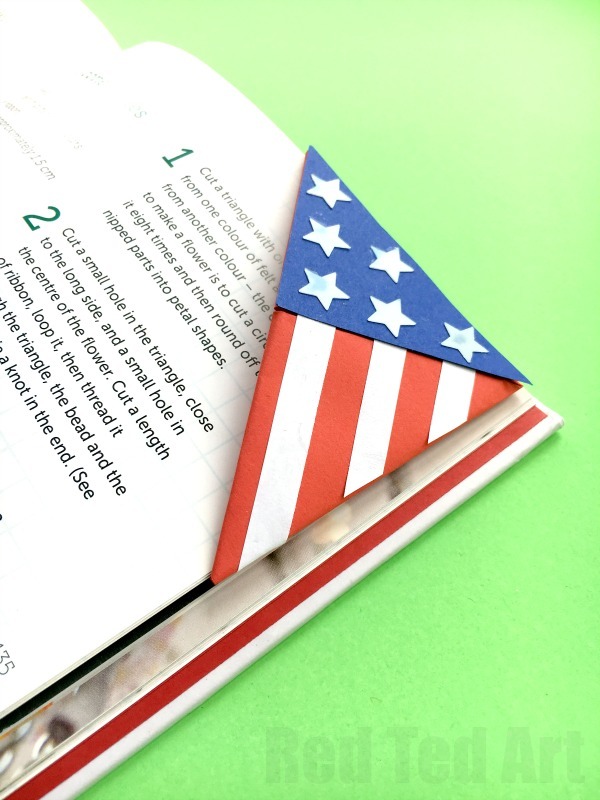 Today’s bookmark design, is an American Flag Bookmark. This is in honour of all my American friends celebrating the 4th of July. 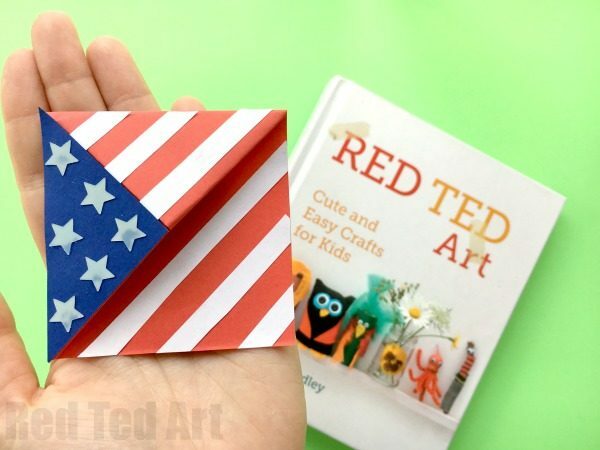 If you are celebrating July 4th or not, I think these little flag bookmark diys, still make a neat craft. I will making a set as a small gift to my American friends! If you ARE celebrating the 4th of July (hooray), this could be a great little party activity for the kids to make. OR they can make them ahead of time and hand them out as patriotic gifts to guests on the day! 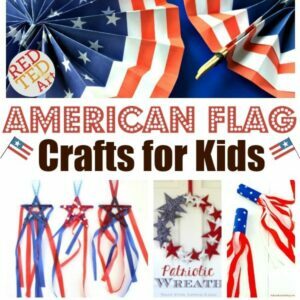 Enjoy some more American Flag Crafts today! 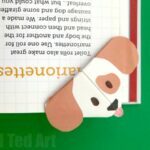 As per usual, I have shared a video tutorial for this corner bookmark. However, I also have some step by step “written instructions” below. 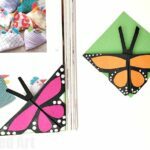 You will need to visit this origami bookmark post to see the step by step photos for the basic corner bookmark how.. and then come back to follow these simple instructions! Once you have made your basic corner bookmark in either red or white you can start decorating it. We made our basic bookmark in red. So at this point cut out strips of white paper approximately 0.5cm wide. Turn your bookmark so it makes a diamond and start sticking on your white stripes. It is fine for them to overlap on the edges. Start at the top and work your way down. It will fit about 6-7 strips. Once done, trim the overlapping white edges off. You now have your “Stripes” of your Stars and Stripes Bookmark. Onto the Stars the bit. For this I overlayed a blue piece of paper on the top left hand corner and stuck it down. Again, it doesn’t matter if it is too big. Next trim the overhanging edge off. Finally, get some white stars (we used star confetti) and stick them on, in an even pattern, to get your Stars of your Stars and Stripes Bookmark. And done. That was easy, wasn’t it? 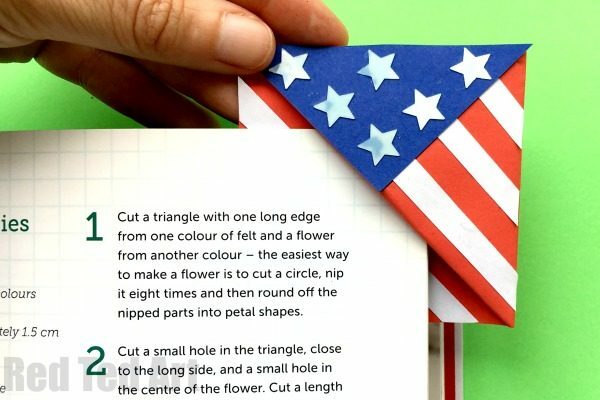 I really love this US Flag Bookmark Corner and I do think it makes a wonderful gift for American friends on the 4th of July! 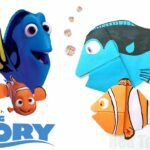 It is such a fun paper craft for kids and just a perfect and easy Patriotic paper Craft for Independence Day! 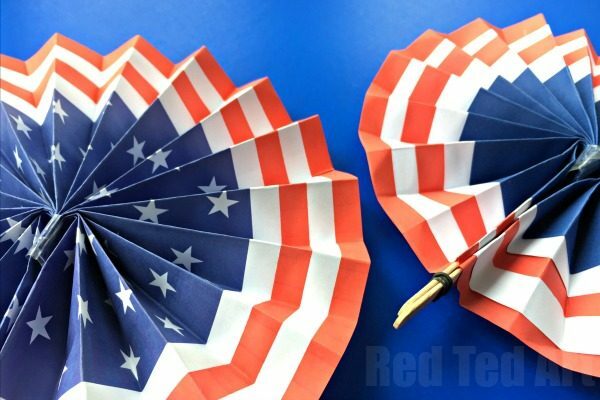 A great 2 for 1 paper craft – make these Patriotic Paper Fans or use them as American Flag Rosettes to decorate your 4th of July Party. 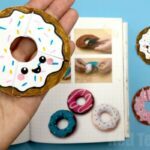 These 4th of July Cookies are so easy and fun to make.. and even better to eat. Gobble gobble. 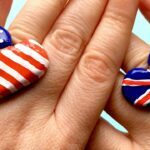 And last but not least, our fabulous heart US Flag DIY Rings. A fab DIY accessory for the 4th of July! Great DIY! 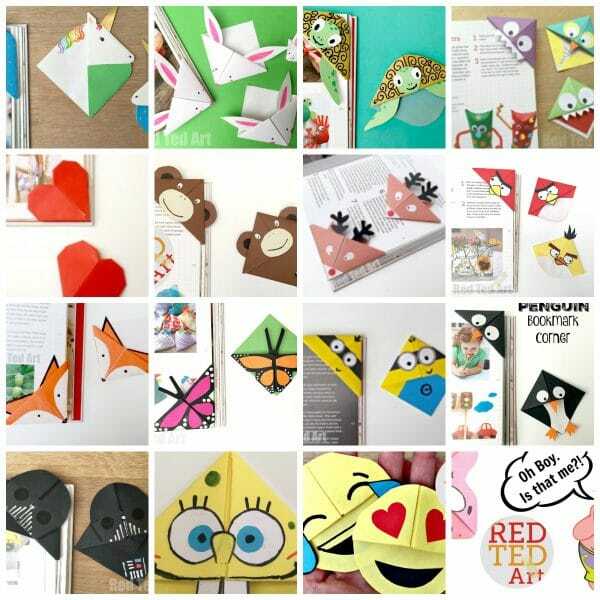 Such a nice ideas! Thank you for selecting those!